November | 2012 | Om nom nom! One of my all time favorites, and Shawn’s too…I guess it’s the New England in us both! This was a great treat on Thanksgiving-eve and we’re thinking it’s a new holiday tradition for us. This would be excellent with fresh clams, however canned whole baby clams or steamers are perfectly great as well. 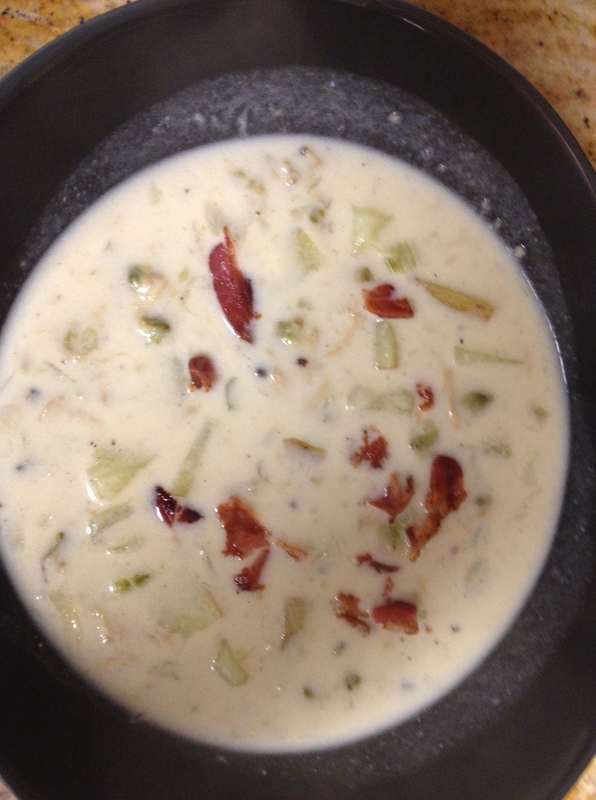 Definitely a favorite and makes tons of leftovers! Great side salad that you can adjust however you like. I’ve used walnuts, hazelnuts, cranberries, goat cheese, feta, etc. 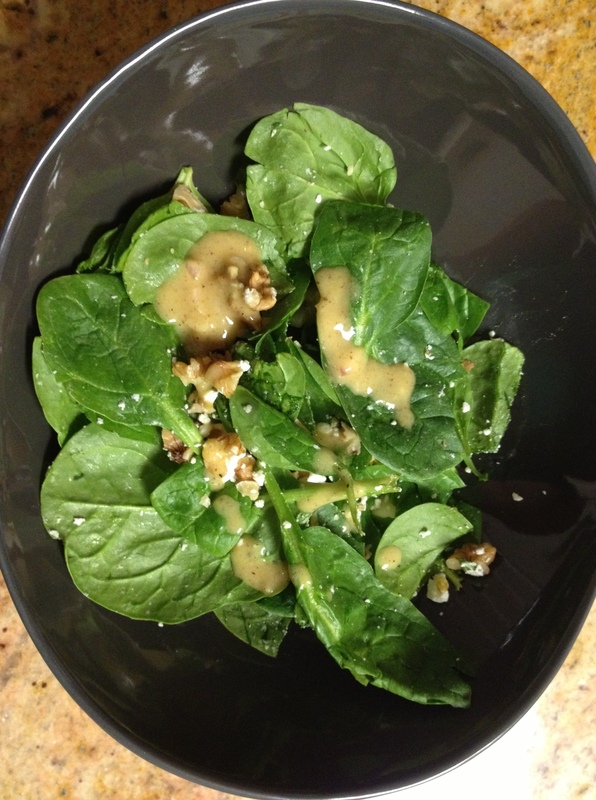 I do prefer that the oil used in the dressing go with the nuts, but you could play with that as well. This was a recipe from Cooking Light that I first tried a few years ago and was pleasantly surprised at how good it was…somehow I’ve forgotten about it until recently. This is fast, easy, and very tasty, and makes a very nice fall/winter dish. You could substitute chicken breast instead of thighs, but I prefer dark meat. Recipe is as printed…though maybe with some extra olives. 😉 Great with any green vegetable side. Great side that’s festive enough for a holiday, but great for a weeknight dinner too! We love this one and make it a lot…asparagus is one of our favorites. Preheat oven to 400. Spread out asparagus on a baking sheet, drizzle with olive oil and toss with garlic, red pepper flakes, and salt and pepper. Roast for about 20 minutes or until done to your taste. Kefta is a ground, seasoned meat mixture from the Middle East and is usually made from ground beef or lamb. This is a somewhat healthier take on the dish using turkey in place of the red meat. I’ve made this dish a few times, and really like it every time. The only tweak I ever make from the original is to double the Ras El Hanout spice mixture (which you can get from a store such as Penzey’s or make yourself). The original came from Cooking Light a few years ago. 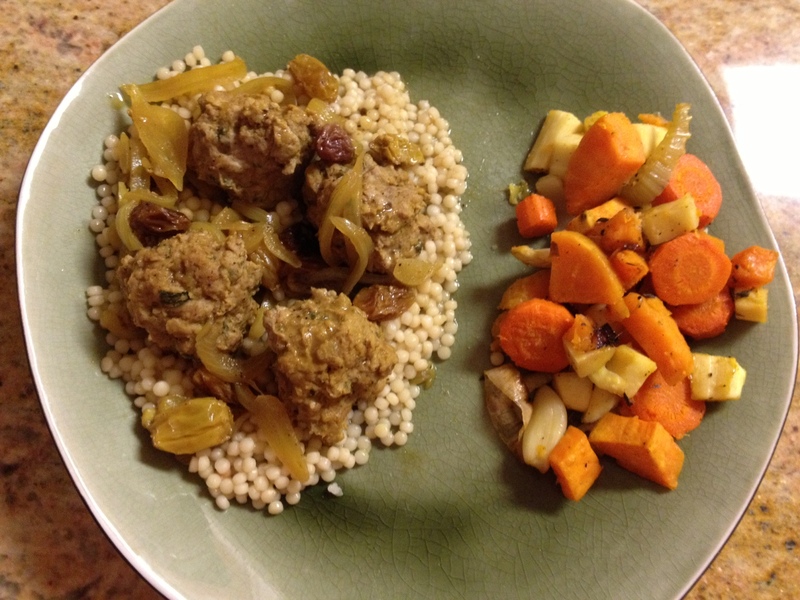 I served this over couscous with roasted root vegetables on the side. 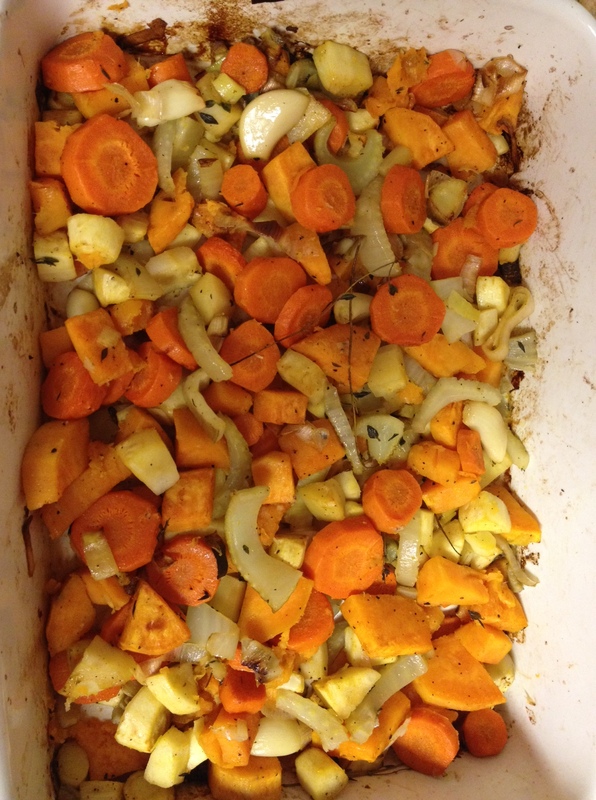 Great fall side dish – this would also do well as a Thanksgiving side. Makes a ton, leftovers would be great tossed with some whole wheat pasta. Shawn learned how to make this when he was stationed in Japan for two years. In the restaurants there, the okonomiyaki pancake is cooked on the table right in front of where each person sits, and it comes in a variety of types and flavors. 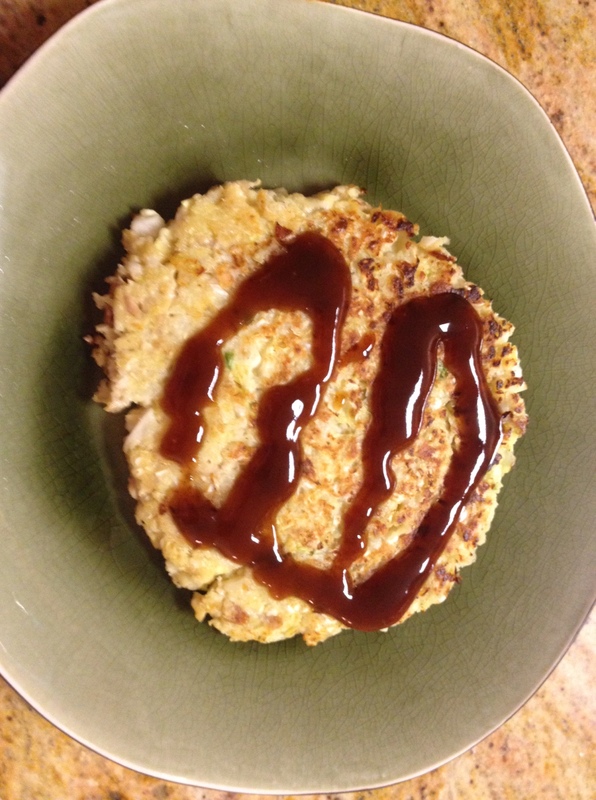 It is topped with okonomi sauce and mayo. I’d never had (or heard of) this before, but he made it for me a while back and I absolutely love it. 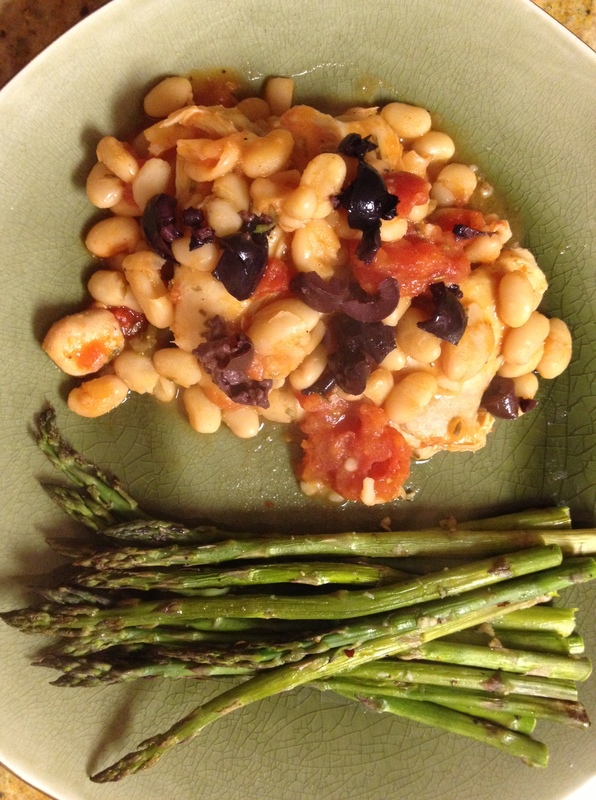 Very versatile and makes for a fun and easy dinner that we both like.